During Vietnamese Tet holiday, the special tray filled up with snack to offer guests coming home on new days is a norm in all families. There are a variety of sweets, biscuits, jams, dried fruits; and roasted nuts and seeds are inevitable part in creating the cheerful and hospitable environment in which the family hosts; then the guests enjoy nuts and chat together on the new year. These nuts and seeds are eaten by separating the edible part from the hull; which may be time-consuming but a good way to lengthen the Tet altogether with relatives, friends and beloved. Certainly, a cup of tea would be more perfect and the communication will last forever. In addition, the nut itself has specific nutrition with diverse flavor which is regarded as healthy and tasty snack for every family member. 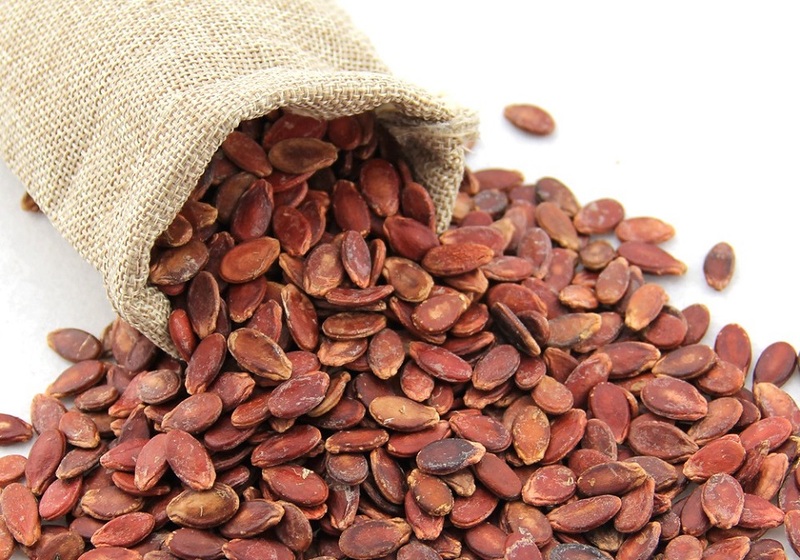 Below are top 5 most common roasted nuts and seeds in Vietnam during Tet. Watermelon is an extremely popular fruit for its being sweet and refreshing flavor. Inside which there are numerous tiny black seeds that we often discard while eating. Those are exactly hat dua we are talking about. However, people only choose the biggest ones to be dried under the heat and then be roasted in big pans to have the final product. Though there are 2 types of watermelon seeds: red and black. You should choose the black original one, instead of colored one. Watermelon seed is a healthy nut which is rich in vitamin B; like thiamine, niacin, folate and minerals like magnesium, potassium, manganese, iron, zinc, phosphorus and copper, etc. Especially, protid inside watermelon seed is an essential component for nervous system and the growing of muscles, blood and bones. Eating a handful of watermelon seeds everyday may enhance memory and protect from coronary heart diseases. 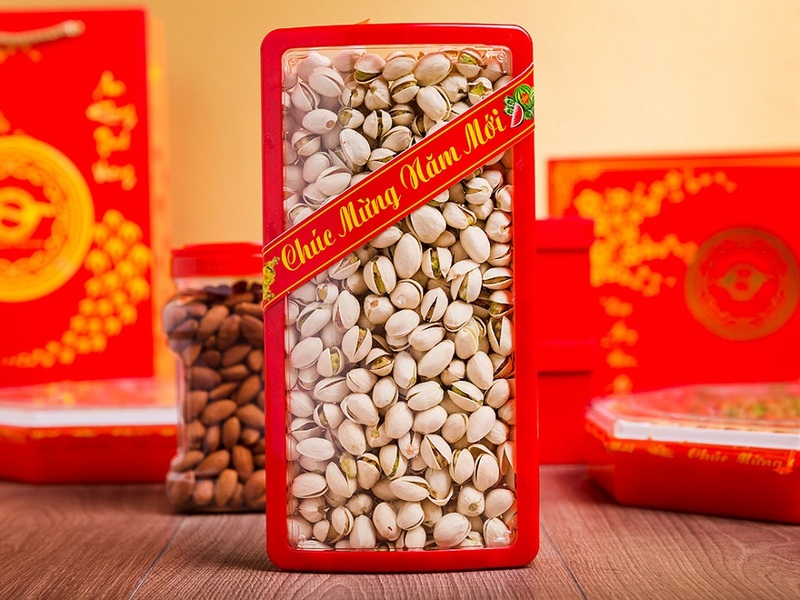 Pumpkin seeds – hat bi are edible kernels of fruit pumpkin; which are among the most favorable nuts during Vietnamese Tet holiday. Since it is easier to peel than watermelon seed but also contain many health-benefiting vitamins. The way of cooking pumpkin seed is exactly the same with watermelon seed; however, there is no pigment to color the nut. Both traditional and modern research studies proved that pumpkin seed has many substances; which benefits human health such as protid, lipid, glucid, calcium, magnesium, fiber and L-tryptophan. 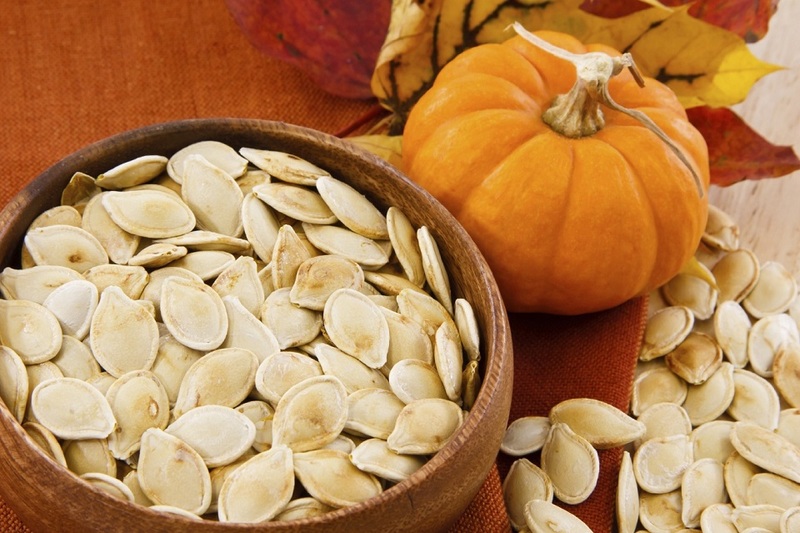 Enjoying pumpkin seed is a great way to boost immunity and help ensure good sleep. The name of this nut is of course, from sunflower. The yellow flowers produce small edible seeds; which are gray or greenly colored found naturally in dark green or black shells called “husks”. 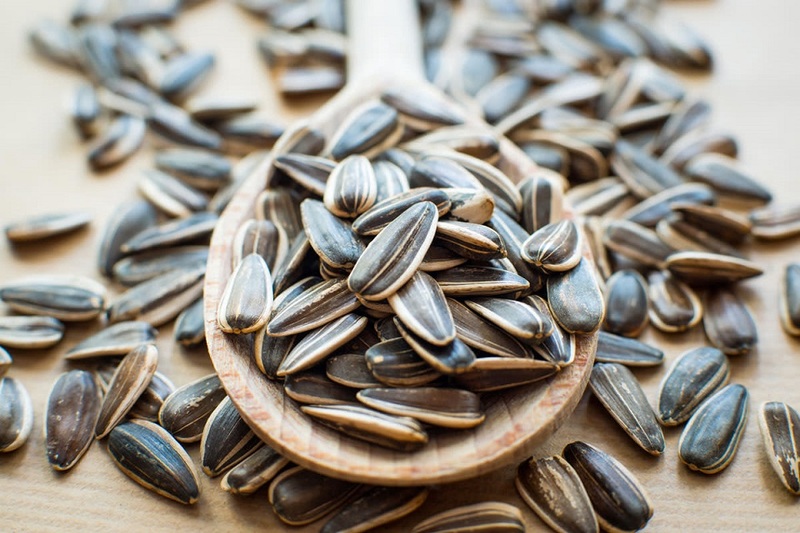 Sunflower seed is a unique food rich in vitamin E, copper, B vitamin like thiamine, phosphorus, selenium and more. This nut is a favorite food of the children and young people in Vietnam. It can be eaten for a whole year, especially with ice-tea or lemon tea, not only the New Year atmosphere. Besides owning a similar amount of nutrition mentioned above like other nuts, sunflower seed can be used to slow down the aging process and strengthen the process of creating international memory cell. 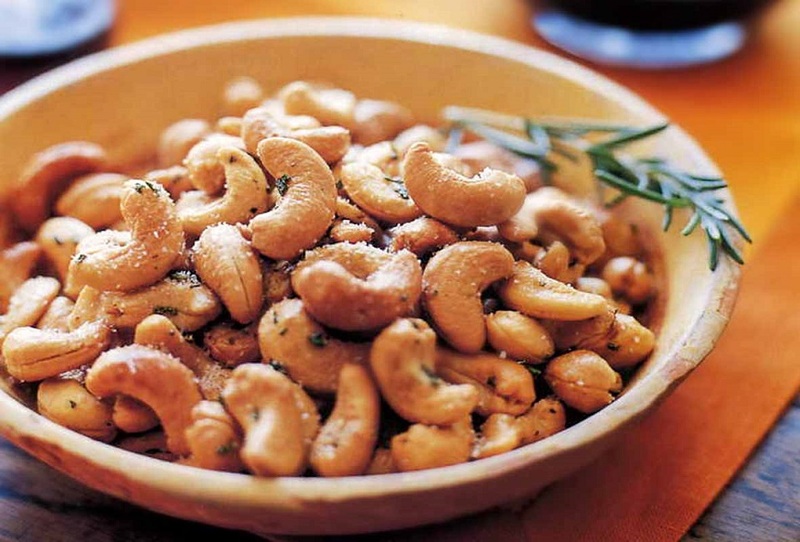 Cashew nut has its origin from Northern China and Mongolia. It is among the most luxury type of roasted nuts because its trees can only produce fruits one time per 4-5 years. In Vietnam, Cashew nut is grown mostly in southern province such as Binh Phuoc, Dong Nai; and roasted with salt to become tasty dishes of the Tet holiday in Vietnam as a symbol of luck. Cashew nut contains many healthy substances like vitamin B1, B2, B3, calcium, protein, phosphorous and cholesterol-free; which are essential for metabolism of protein, fat, and carbohydrates at the cellular level. The monounsaturated-fatty acids in cashew nut are heart-friendly acids; which will help to prevent coronary artery disease and strokes by favoring healthy blood lipid profile. Pistachio is one of the oldest nuts that is very popular in the world. Originating from Iran, this nut is often consumed on its own or used as tasty roasted and salted snacks. It is not certain that pistachio is becoming more and more favorable among Vietnamese people. Pistachio always appears on the New Year’s Day candy tray in Vietnam with the meaning of prosperity and cheerfulness for the guests; as its name in Vietnamese is smiley nut. Eating pistachio can combat obesity, overweight. It also reduce risk of heart disease, stroke, diabetes and metabolic syndrome, levels of HDL particles laugh-C, folate, and homocysteine C-reactive protein low; thereby reducing the risk of cardiovascular disease and cancer. 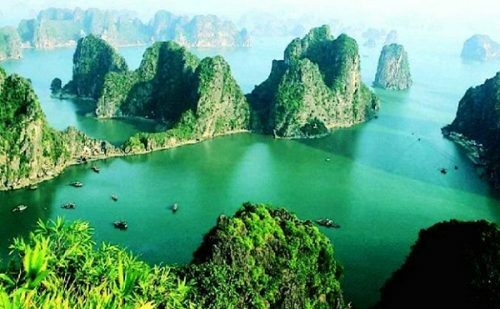 Last but not least, you should plan your North Vietnam tours this Tet holiday to experience all Tet atmosphere as you have ever had before. 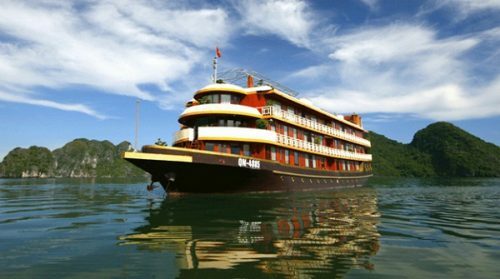 There are many kinds of tours offered such as Essence Of North Vietnam 6 Days for instance. I believe that you will have great chances to enjoy these five nuts and seeds on the new days during Vietnamese Tet holiday. It will bring you all the amazing warmth and great health to welcome a fantastic new year. 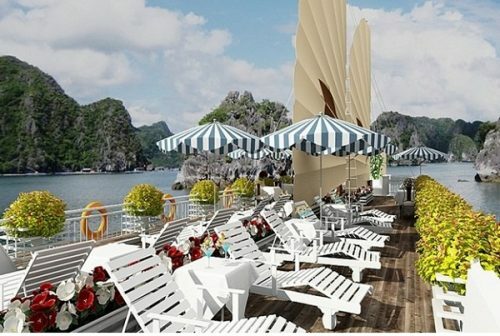 Wish you much fun and let’s say Happy New Year in Vietnamese: Chuc mung nam moi!